Level Field: Indian Hockey Suffocated? 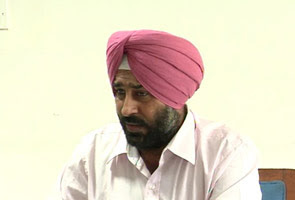 New Delhi: Barely 48 hours before the Hockey India elections, Pargat Singh on Tuesday launched a scathing attack on IOA chief Suresh Kalmadi, calling him the "dirty face of Indian sports" who is desperate to maintain control over the game's administration by interfering in the much-awaited polls. The former India captain, in fray for the President's post in the elections on Wednesday, said Kalmadi is backing an 83-year-old Vidya Stokes for the job as he is only concerned about keeping his control and least bothered about the sport. "The reason they violated the government's guidelines (on age limitation) is to field an 83-year-old lady (Stokes). Kalmadi just wants a rubber stamp. If they (the present ad-hoc HI office bearers) are elected, it won't be called Hockey India, it will be called Hockey Kalmadi," he said. View NDTV's Interview with Pragat here. "The Kalmadi group has a habit of poking its nose in every sports federation. Their modus operandi is to set up a parallel body in every federation and then take the matter to the court. They have a battery of lawyers to fight their case," the former India full-back added. Pargat also accused Kalmadi of fielding his own personal office staffs in the HI polls. "A member of Kalmadi's personal staff, Manoj Bhore is a voter from Hockey Maharashtra. So, you can imagine what is going on. He has made a mockery of the system. He just wants to capture hockey," he said. He also said that the present office-bearers of HI have no right to reject government's assistance as it is the prerogative of the elected house. "Who are they to tell they don't want government's assistance, it is the house to decide. What is their authenticity? If the government's recognition is not there, how can the Indian team participate in international tournaments?" Pargat asked. "They should keep in mind that it is not their personal team, it is a national team," Pargat stated. "In the last two years, the government has given Rs 13 crore to hockey but nobody knows where this money has been spent," he added. Pargat said he decided to foray into hockey's administration only to revive the national game, which is in a mess for the past two years. "Enough is enough. For the last two years hockey has suffered. There were only divisions within the game but I will do whatever is possible to unite hockey," Pargat said. "If you don't bring positive faces, how will you promote hockey? If good faces come, money will automatically come into the game. "I don't have financial power like them, neither do I have the muscle power but what I have is a noble intention. The government is open to sit and discuss. If I get elected I will do whatever is best for the sport," he said. "I have a plan for hockey's development. I want to bring in a coaching system, umpiring system, short and long-term planning will be there, a proper domestic structure will be set up. A calender will be there and every aspect of the game will be looked after," Pargat added. Level Field says: Similar woes in Malaysian Sports? Why do I get th3e impression that the IOA problem is also the same as the problem we have in OCM. Somehow or other the SEC Gen of OCM will say there you are they are fielding an 83 years old lady and I am only 72 years young. Pargat should write to the IOC and have this age issue trashed out, as for Malaysia, with that SEc Gen there, GOD Blessed Malaysian sports. A carbon copy of something that would,could,has and will probably happen here.But on the bright side malaysian project 2013 under 19 hockey team did well in their european stint.